Firstly, thank you for the lovely comments on my Test Tube Bud Vase DIY Tutorial post. I was thrilled to read them all. Secondly, I'm back with a one of a kind treasure that I picked up from a salvage yard on a late afternoon impromptu thrifting adventure with my husband. In case you are wondering we don't usually go thrifting and definitely not to any salvage yards. But we were passing by one and I saw lots of weird and wonderful things and the rest is history. I'll probably go back to the salvage yard again and again and again now! I spotted a rusty but in great condition vintage industrial timecard holder and made a beeline towards it. 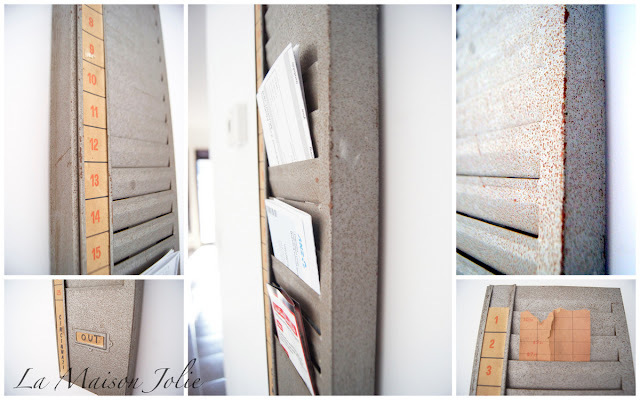 As soon as I saw it I just knew it would look amazing hanging in our home as a mail holder on a blank wall in our long corridor. I haven't been able to find anything that would work on this wall, so this piece was just perfect! 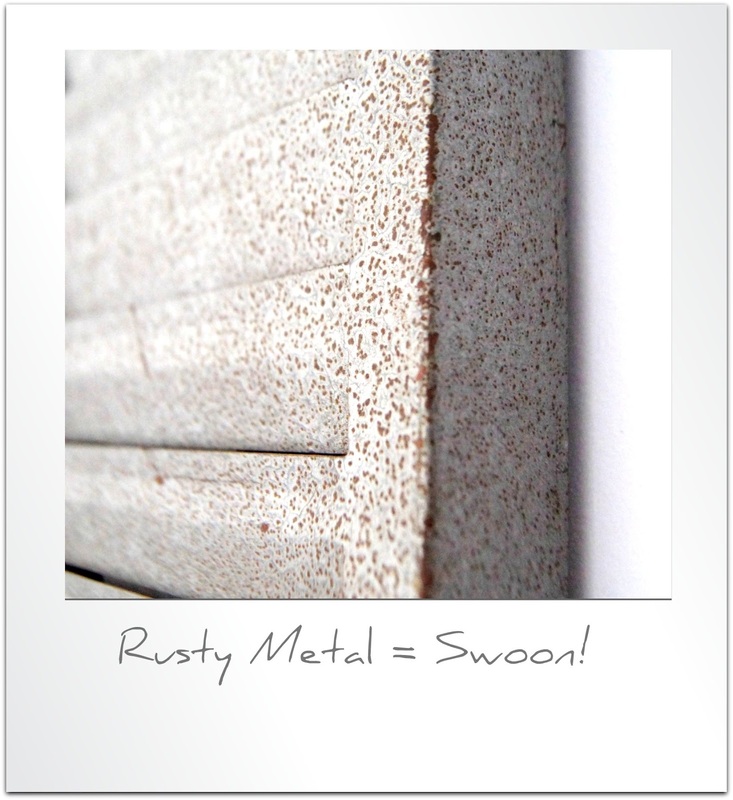 Unfortunately, my husband considers old rusty things as definitely old rusty things and it takes a bit of work for me to show him the beauty in the rusty patina and help him visualise from what it is to what it could be. He tried to talk me out of it. But there was no way I was leaving without it! Fortunately, my husband's also a smart man, he knows which battles he just can't win and after a lot of hemming and hawing he conceded. So, I'm pleased to say that the vintage industrial timecard holder came home with us! As soon as we got home, I got him to put it up on the wall and guess what now he loves it! He's having fun being organised and purposeful by sticking all our mail into it (and I have been slyly taking out all the ones that don't look good). 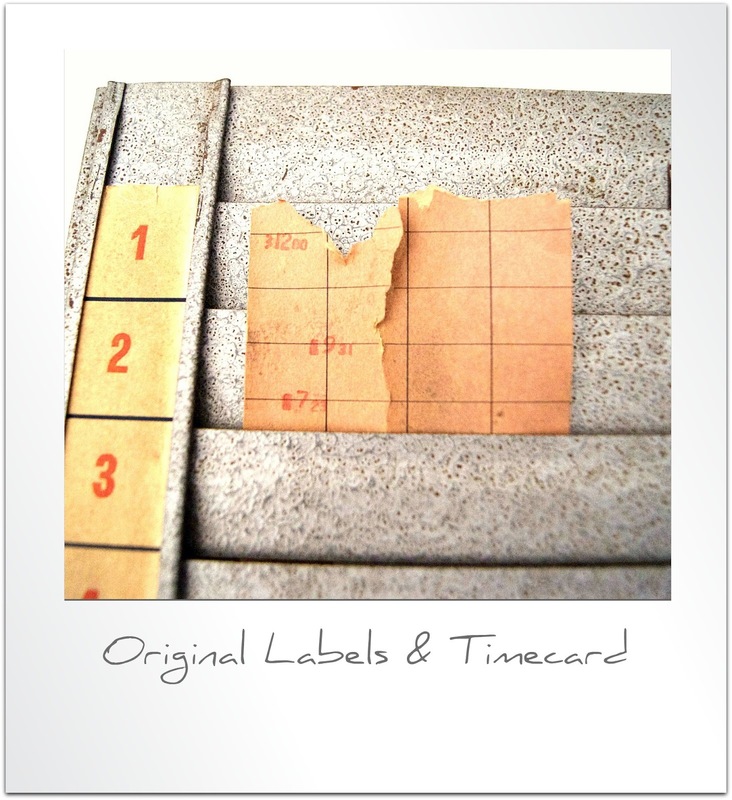 The timecard holder originates from USA and was used in a factory in Cincinnati and even has one original time card in it along with the original numbers on the side and an IN and OUT sign. It's so amazing to have a piece of history in our home. The grey rusty iron really works against the white walls and the blank wall is no longer blank! I love adding touches of industrial design in the home, I think it adds character and makes it more interesting and eclectic. Last year I added two vintage metal milk crates to my decor and it looks fabulous. Now I just have to find out the age of the timecard holder. The salvage yard guy I bought it off said it was easily 60-80 years old. But I want to find out for sure. Hmmm this might take a while. Do you have any interesting one-of-a-kind industrial pieces in your home? I would love to hear about it. 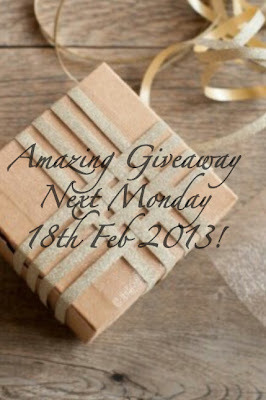 I'll be back soon with an amazing giveaway. So watch this space! Join La Maison Jolie on Facebook to keep up with product news, interior design ideas, latest giveaways, Etsy discounts and other offers! 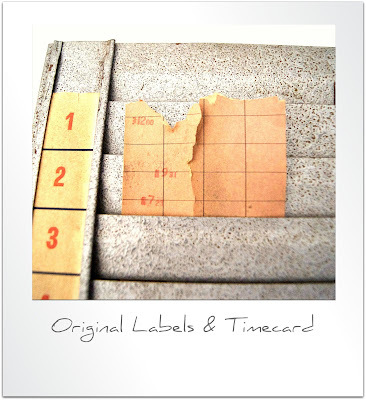 Labels: Industrial design, Interior design, La Maison Jolie, Thrifting, Vintage. This is such a cool idea! I love it...so industrial chic : ) hugs! Such a cool industrial look! This is fabulous! Just the right amount of patina. I checked out your shop and you have cute things! 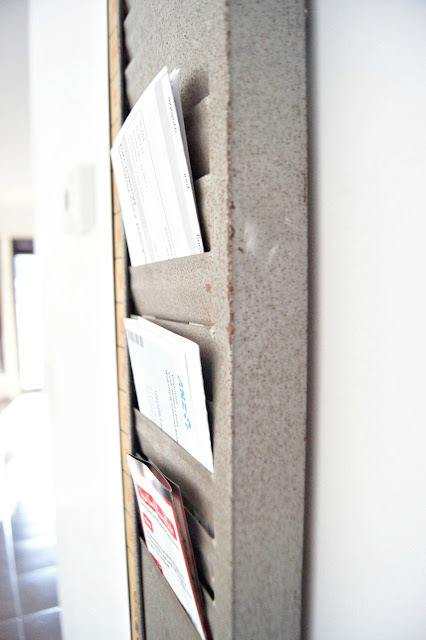 What a great find - and a great idea for mail!!! And congratulations on your feature at Alderberry for your beautiful table centerpiece! 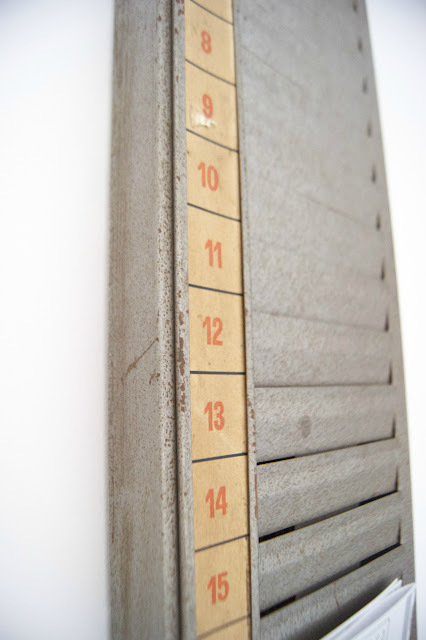 What a find - I love mixing industrial pieces into my house too!